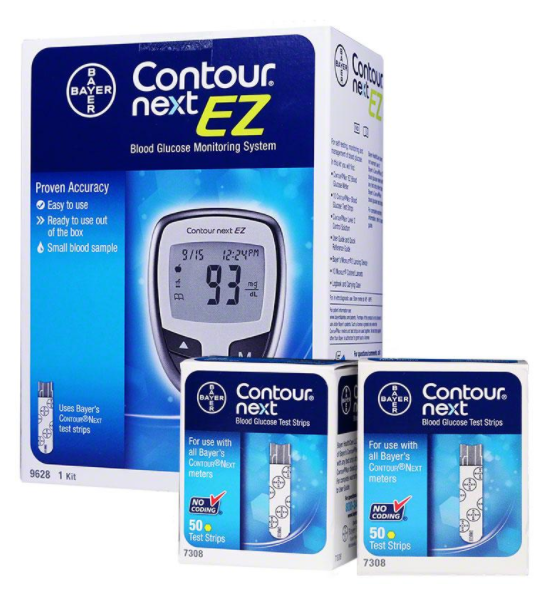 The Bayer Contour NEXT EZ System is designed with easy-to-use features & utilizes the high accuracy technology to help you feel confident in your test results. Tiny 0.6 �L blood sample. Sip-In Sampling helps you get the right amount of blood on your first try. Multi-pulse technology evaluates a single sample 7 times for exceptionally accurate results. Identify trouble spots with personalized HI/LO target range and summary of your blood glucose test results. See effect of food choices on your blood glucose levels with pre-meal and post-meal markers. More tracking knowledge with 7-, 14- and 30-day averages of your blood glucose levels. 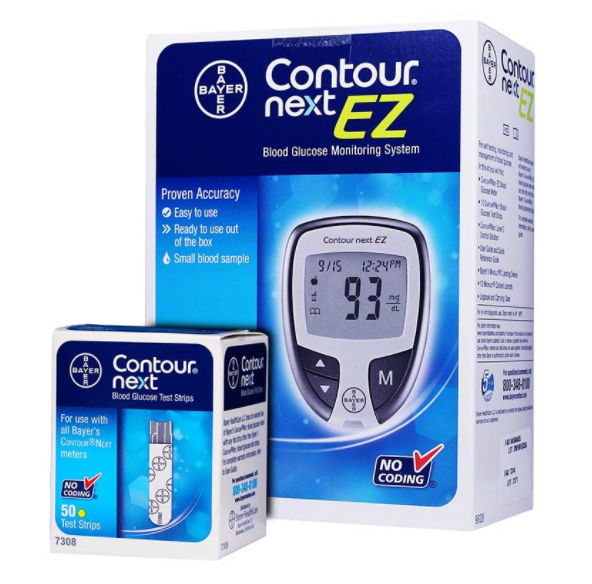 BAYER CONTOUR by BAYER HEALTHCARE DIABETES DIV.